Samsung is about to launch an all-new lineup of smartphones called the M-Series. According to Samsung, the M-Series of smartphones are designed and developed for young millennials. The company has revealed that these smartphones will be packed with large batteries, powerful chipsets and will have a modern design. 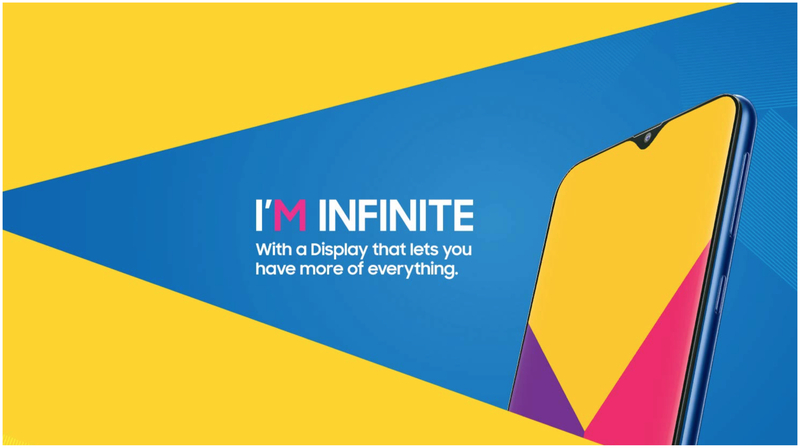 The upcoming series will be the first online-only range of mobile phones that the company will launch in India. 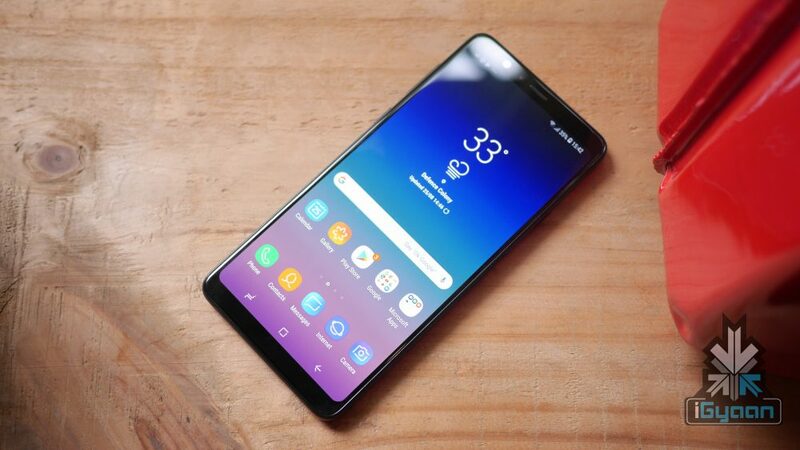 Reportedly the company will launch two new smartphones initially which will be called Galaxy M10 and Galaxy M20. The user manual of the Galaxy M20 was previously leaked which revealed information about its looks and features. 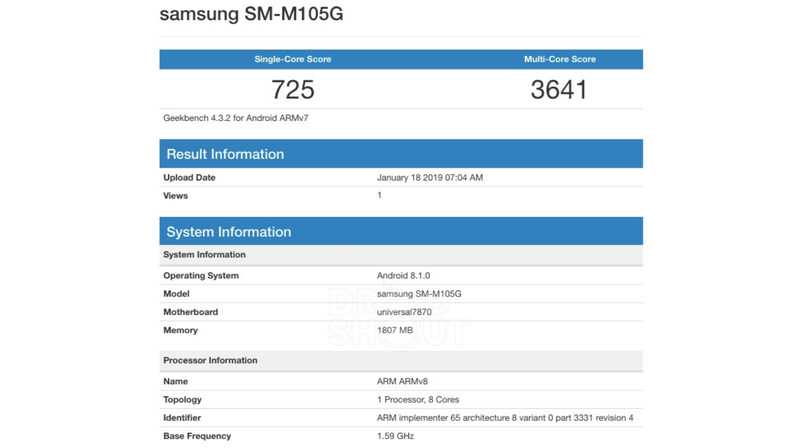 Freshly the younger Galaxy M10 was spotted on Geekbench’s website. The Geekbench listing registers a Samsung smartphone with model number SM-M105G which apparently is the M10. The device scores as a single-core score of 725 and a multi-core score of 3641 points. However real world scores could differ depending on the optimisation of the software. According to the Geekbench listing, the Galaxy M10 features the Exynos 7870 chipset that consists of an Octa-Core CPU and Mali T830 GPU. The device in the listing has 2 GB of RAM, however, Samsung is expected to launch higher RAM capacity variants as well. The Galaxy M10 shockingly runs on Android 8.1 Oreo but at the time of official launch, Samsung might unveil the device with latest Android 9.0 Pie. 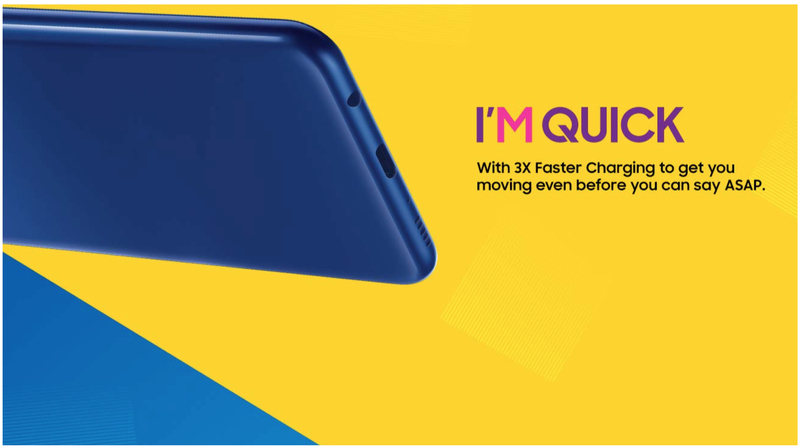 The Galaxy M10 along with the Galaxy M20 is set to launch on 29 February in India and will be exclusively available on Amazon.in and Samsung’s own website. The Galaxy M10 is expected to be priced under Rs 10,000.